If you are a Starbucks fan and going to Disney World on vacation, you will be glad to know that Starbucks in readily available at Magic Kingdom, Epcot, Hollywood Studios and Animal Kingdom theme parks. There is even a Starbucks at Disney Springs! Wondering where to find Starbucks in Disney World? 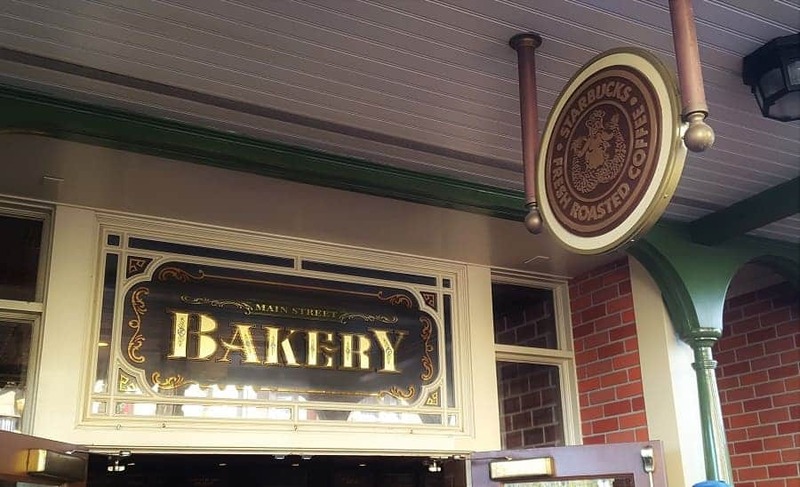 Starbucks in Magic Kingdom can be found at the Main Street Bakery on Main Street USA. Disney Springs has two Starbucks located here. One is in Disney Marketplace and the other is on the West Side. Menu items at the Starbucks locations in Disney World seem to be inline with traditional Starbucks outside the parks. You will find specialty seasonal coffees as well as many secret drinks. You can use your Disney Dining Snack Credit to purchase any size Starbucks beverage! Looking for Disney treats? 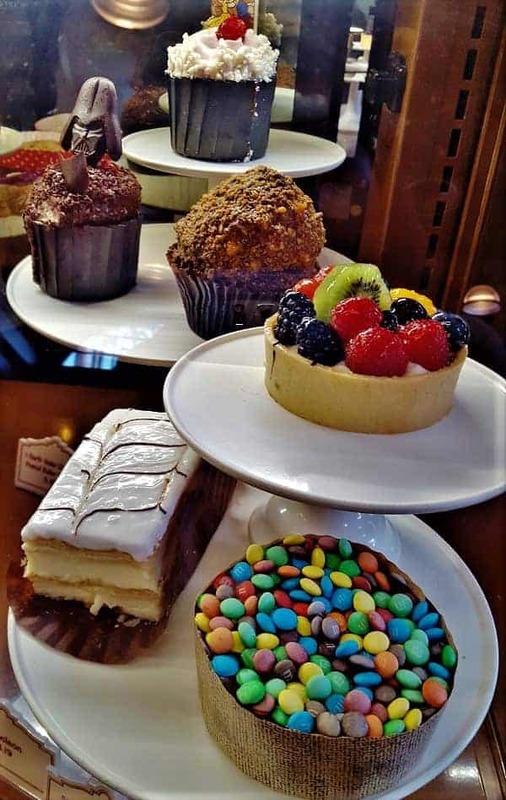 You’ll find your favorite Starbucks treats (Pound cakes and Cake Pops) alongside some specialty Disney treats (like themed cupcakes and cookies). Many Starbucks treats qualify for a Snack Credit on the Disney Dining plan. Want to pay with your Starbucks App? You can and you can earn points. This is even better when Starbucks gives you extra points for visiting different locations because each park qualifies as a different store. The only thing you can’t do is use your Star Rewards to get free coffee at the Disney Parks. You can, however, use them in Disney Springs. Want to pay with your Disney MagicBand instead of using your Starbucks app? That’s fine too! They’ll simply bill your account just like the rest of Walt Disney World restaurants and stores. If you have a Disney Gift Card, they will work in the Starbucks in Disney World parks! Animal Kingdom is the only park at Walt Disney World that does not allow plastic straws. All straws are biodegradable paper straws, even at Starbucks in Animal Kingdom. Each Starbucks in Disney World has cold water available in self dispensing stations inside the store. Each Disney Starbucks location carries its own special Disney World Starbucks coffee mug. If you are looking for a great souvenir to get your coffee addict, this is the only places you will be able to find these special Disney World Starbucks mugs! Each of the Disney parks has it’s own version of the You Are Here collection. 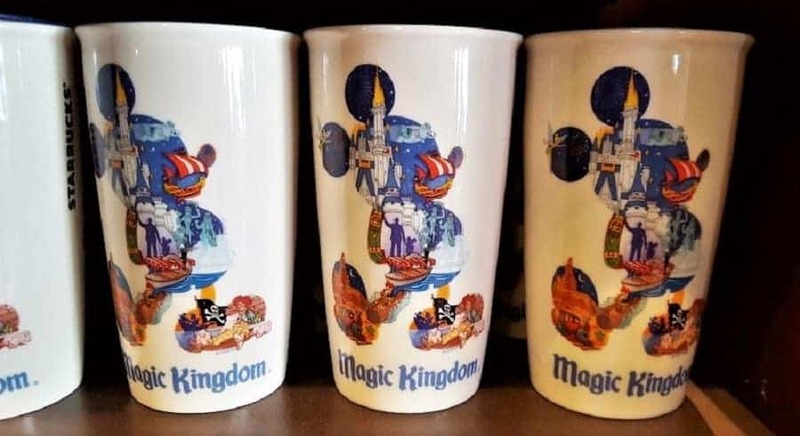 Besides that mug, you will also find other Disney Parks Starbucks mugs in various sizes. There are even Disney Starbucks ornaments! And if you would rather drink your coffee cold, there are also Disney Parks Starbucks tumblers. These are insulated so you can use them while you are out & about in the Disney parks! While some people are put off by the idea of Starbucks in Disney World, I am thrilled. I am one of those people who can’t stand Disney’s Joffrey’s coffee so it really helps to have another option when you need coffee to get your day started! Now, if we could just get Starbucks in the Disney resorts! I would be over the moon. Have you been to the Starbucks in Disney World?